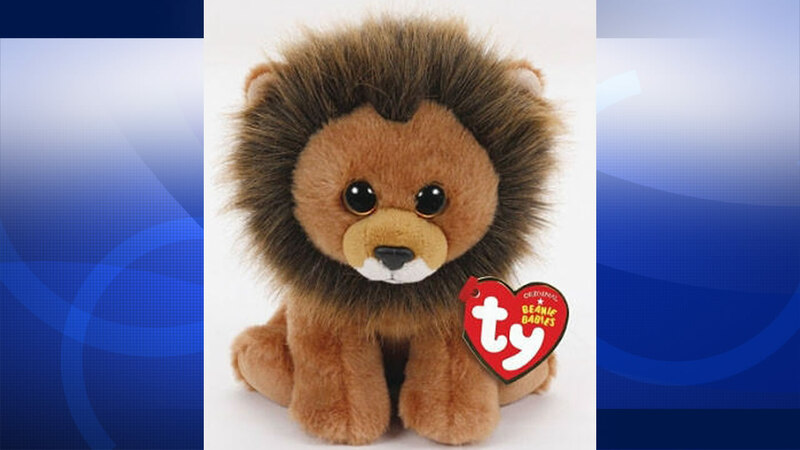 CHICAGO -- Toy-maker Ty Inc. has created a "Cecil the Lion" Beanie Baby to raise funds for animal conservation efforts. Walter Palmer, the dentist who killed a beloved lion during a hunting trip in Zimbabwe, sent a letter apologizing to his patients while thanking them for their support. Ty Inc. CEO Ty Warner said Monday the company, based in the Chicago suburb of Westmont, hopes the Beanie Baby will raise awareness for animal conservation and "give comfort to all saddened by the loss of Cecil." Jimmy Kimmel is disgusted by the "vomitous" actions of the man who killed a beloved wild animal in Zimbabwe known as Cecil the lion and got choked up while asking to help good come out of it. Ty said all profits from "Cecil the Lion" sales to retailers will go to the Wildlife Conservation Research Unit of the University of Oxford in England. The toy will go on sale at the end of September for $5.99.